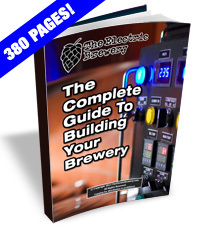 We purchase hops by the pound and some dry yeast in 500g bricks to save money. We then re-package them using a Foodsaver vacuum food sealer into smaller packages in order to keep them fresh. 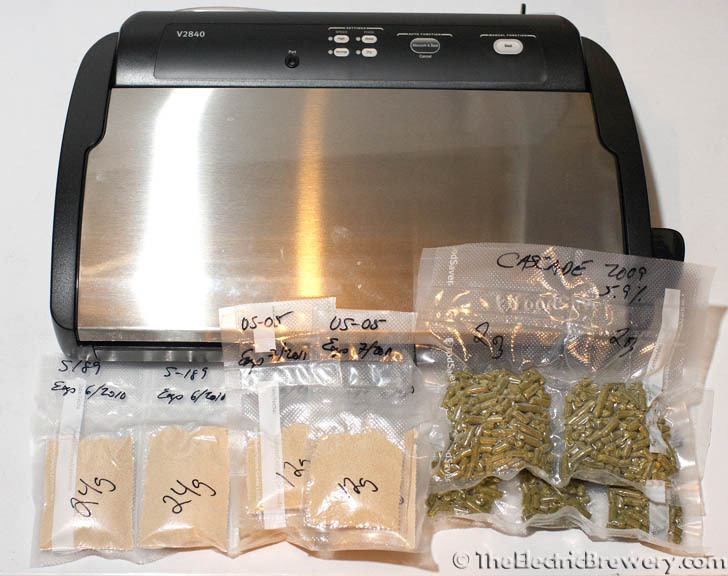 We make 2-3 vertical seals in the bags we create to make small pouches that can hold anywhere from 12-24 grams of yeast or 0.5-4 ounces of hops. The bags go much further this way (see picture below). Both are kept in a non frost-free freezer (to avoid any hot/cold cycling). Hops are always best used as fresh as possible. Keeping them in the freezer in Foodsaver barrier bags helps extend freshness. Dry yeast should also be kept in the freezer. Yeast should be used before the expiry date whenever possible for the best viability.